A look at the history of still-life painting, featuring a range of delights from the earliest existing Xenia mural paintings found at Pompeii to the cubist masterpieces of Picasso. A richly detailed journey through the epic history of still-life painting, featuring a range of delights from the earliest existing Xenia mural paintings discovered at Pompeii to the cubist masterpieces of Picasso. 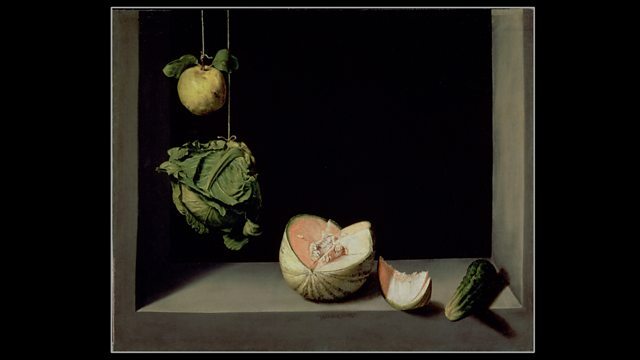 Awash with rich imagery of fruit, flowers and humble domestic objects, this lively take on the story of still life encompasses the work of some of the genre's greatest artists from Caravaggio to Chardin and Cezanne. But it also captures the surprising contributions of the less well-known, including asparagus enthusiast Adriaen Coorte and female flower painter in the court of Louis XVI, Anne Vallayer-Coster. With contributions from historians Bettany Hughes and Janina Ramirez, art historians Andrew Graham Dixon and Norman Bryson, and philosopher Alain de Botton amongst others, it opens up the huge social histories that lie behind the paintings and the fascinating lives of the people who made them.